Keeping a clean, well-maintained property is important for not only the overall appearance of your home, but for keeping its property value as high as it can be. It’s also the place where your children play, you have cookouts with friends, and the place where family gatherings happen. Your yard, much like your car, needs to be maintained on a regular basis so that you avoid expensive repairs down the road. After all, who wants to look at a messy property or clean up a yard that’s been neglected for months or even years? That’s where we come in. Earthtones Landscape Management offers yard clean up services in Phoenix, Scottsdale, Glendale, Peoria, Cave Creek and the entire Valley area to both commercial and residential customers. Other Phoenix landscaping services may offer yard clean ups, but Earthtones Landscape Management is known for affordable yard clean up in Phoenix. Our customers know that when they arrange for their property to be maintained and cleaned up on a regular basis they have the best landscapers in Arizona, with the best equipment, at their disposal. At Earthtones Landscape Management, we offer ultra-affordable yard cleanups for our Valley customers in a variety of packages. We can set up ongoing weekly or bi-weekly cleanups, monthly clean ups, and even one time yard clean ups, and more. Earthtones Landscape Management is your Phoenix landscape service leader for a reason: Give our experienced team a chance to clean up your property and we’ll show you why residents and businesses from all over Arizona turn to Earthtones Landscape Management for all of their landscaping and maintenance needs. Contact us today to learn more and get info on pricing. We can’t wait to hear from you and get to work making your lawn or property more beautiful and pristine than it’s ever been! 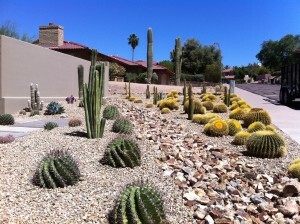 Click here to learn about other landscaping services in Phoenix offered by Earthtones Landscape Management.